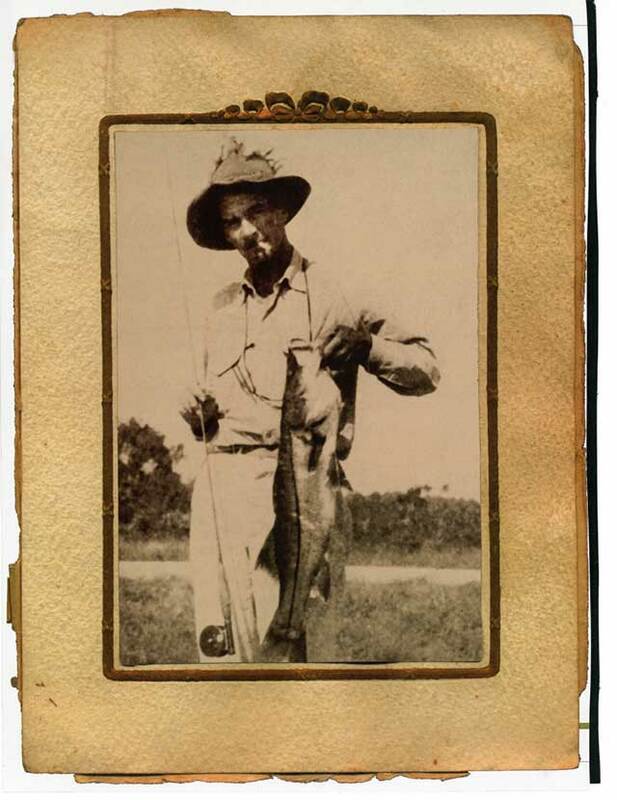 One of the most intriguing figures in the first days of fly fishing in saltwater was a 6 foot 5 giant who wandered the wilds of the Everglades—often at night and often alone. Solitary by nature, he lived a life deeply immersed in the natural world. He loved the creatures of the “glades,” knew where they lived, how they conducted their lives, and even knew their Latin names. He could catch the fattest snook with a fly rod or the biggest rattlesnake with his hands. The backcountry was his home. Using a houseboat as a base camp, he spent countless hours in the Ten Thousand Islands, navigating the endless maze of mangroves and shell mounds. Had you encountered him back here, it’s unlikely you could have engaged him in lengthy conversation. He was laconic, and self-contained. Still, even in the briefest exchange, you might have sensed he was someone special. And if so, your instincts would have been dead on. Because the person before you was one of those rare people totally in touch with the planet—a man that had devoted himself to the sun, the moon, and rain. Homer S. Rhode Jr. was born on December 10, 1906 in Reading, Pennsylvania, where his father was a local physician. As a young boy, Homer had many interests. During his school days, he was a member of the Gun Club and the Camera Club, and would be a firearms enthusiast and a photographer for the rest of his life. He was also a versatile athlete. Homer played on the football team and the school’s championship baseball team. Later in life he would even try out as a pitcher for the New York Yankees. In addition to team sports, he was a purveyor of the sweet science, and good enough to win a Golden Gloves Tournament. Yet his favorite sport was one he practiced with his father and brothers. Near their Berks County home there were numerous fine trout streams such as Little Lehigh Creek, Maiden Creek and Manatawny Creek. It was something Homer, his father and brothers took full advantage of—for in the Rhode’s household fly fishing was a family affair. Just after 1925, the Rhode family moved south to Coral Gables, Florida. It must have been a disappointment for Homer to leave behind the trout streams of his youth. Now outside his window were Biscayne Bay and the Everglades. Yet somehow, Rhode correctly recognized these waters for what they offered—a brave new world of fly fishing; and he immediately began tying salt water flies. While there is no record of what his earliest flies looked like, they must have been effective. By 1930 he had landed a bonefish and a permit on a fly, making him one of the first fly anglers in the world to take either species. Homer married in 1940. He and his wife Verta got a place in Coral Gables and quickly had two children—a son, Homer III and a daughter Veva. At this point Homer had lived in Florida for over a decade, time enough to accumulate an intimate understanding of fly fishing in saltwater. In those same years, he was also acquiring an encyclopedic knowledge of southern Florida’s wildlife. Whether it lived in Biscayne Bay or the Everglades, he wanted to learn about it. And his fascination with the natural world was reflected in his home. In the yard he kept raccoons, possums and armadillos. In the garage, there were terrariums loaded with live snakes; and in the house, snake skins covered the walls. As the 1940s ebbed, Rhode’s involvement in fly fishing increased. He was teaching a fly fishing course at the University of Miami and had become a member of the famous Miami Beach Rod and Reel Club. The fledgling Wapsi Fly Company began marketing some of his patterns. But most importantly, from his vise had emerged two flies that would greatly influence salt water fly design—The Homer Rhode Jr. Tarpon Streamer, and the Homer Rhode Jr. Tarpon Bucktail. Both flies appeared in Colonel Joseph Bates’ 1950 book, Streamer Fly Fishing in Fresh and Salt Water. The Homer Rhode Jr. Tarpon Streamer is a simple fly, constructed with splayed hackle wings tied off the bend of the hook and a palmered hackle around the hook shank. Rhode described his design rational in this way. Even a casual look reveals this fly to be the progenitor of a huge number of conventional tarpon flies; flies still in wide use today. It is also the source of Chico’s Seaducer. The Homer Rhodes Jr. Tarpon Bucktail is an uncomplicated fly as well. Made mostly of bucktail, it has a short tail off the bend of the hook and a wing tied in at the hook eye that slants back over the thread body. Joe Brooks acknowledged that he took this basic fly design, fashioned it in several colors and then popularized it as his well known Blonde Series. Restless and ready to experiment, Rhodes continued to push at the boundaries of our sport. Beyond chucking feathers at bonefish, permit, tarpon, spotted seatrout, and snook, Rhode was also casting to mullet and snappers with trout size fly gear. For snapper, he used scaled down flies made of white or yellow polar bear hair, and then attached one or two spinner blades up front. Working around mangroves and even over shallow reefs and wrecks, he refined his technique until he could take snapper successfully. His approach to mullet, however, was even a more radical adventure into what one might call “ultra-light” saltwater fly fishing. Realizing that mullet were algae eaters, Rhode understood his flies would have to be tiny. So he tied them on hooks down to size 16 in white, light green, yellow and black and then attached them to leaders tapered down to 4X. His largest mullet was 5 ¾ pounds; it burned 150 yards into the backing while leaping like a demon. It makes you wonder how many species we are overlooking even today. Although he was active on many fronts, a brand new challenge caught his eye. The recently formed Florida Game and Fresh Water Fish Commission had decided to organize its first band of conservation officers. Wasting no time, he enrolled. And when the first graduating officers lined up for a class photograph, Homer Rhode Jr. was one of them. Enforcing game laws in the Everglades was something that desperately needed to be done. Yet wandering in the backcountry without any real hope of backup was clearly dangerous business. Back then southern Florida was as lawless and untamed as any place on earth. Here, where the temperate zone meets the tropics, you had ‘gators’, ‘crocs,’ snakes, sharks, and clouds of mosquitoes thick enough to choke a horse. Worst yet, hiding in the buttonwood hammocks were varmints of the two-legged kind. The “glades” were infested with criminals. At any moment you could be face to face with poachers, smugglers, moonshiners, or even murderers—none of whom wanted a lawman around. So it’s not real surprise that, while on duty, Rhode would find himself in a gun battle. A crack shot since a kid, he came out on top, yet in the process was forced to kill a man. After that unfortunate incident, Rhodes hung up his badge and spent the next three years fly fishing commercially for snook; it was legal at the time. Working the waters around Everglades City, Marco and the Tamiami Trail, Rhode fished day and night, filling up a big wooden ice chest built into his car. Daily he made two trips to the Miami market, selling his catch in at 6 cents a pound. That might not sound like much, but on a good day he’d bring in half a ton. To do that with a fly rod speaks volumes about Homer’s skill, but his intimate knowledge of the natural world played a role too. While driving the Trail at night he would keep an eye peeled in his headlights for leopard frogs plastered to the pavement. Rhode realized that wherever the frogs showed up in number, the snook would be waiting in water alongside the road. Stopping the car he would jump out with his fly rod, all the while being careful; rattlesnakes and cottonmouths were fond of the frogs too. Eventually he took a job with Dade County. In an unfortunate accident, he was exposed to a powerful rodenticide. It damaged his nervous system, weakening his arms and legs and forcing him to retired with a disability. On the upside, that allowed him more time on his houseboat near Chokolosskee. Roughly 30 feet long, it was a rustic affair, with the only creature comfort being piles of books. Still Homer loved this simple retreat, not only for the solace it offered but the freedom to spent unlimited hours exploring his favorite waters. And because of it I have to believe that behind his quiet exterior there lived an exceptional mind. As the old proverb goes—still waters run deep. 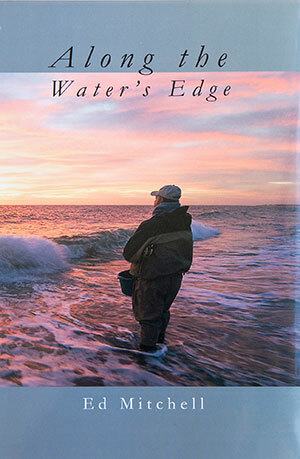 The author would like to thank several members of the Miami Rod and Reel Club. They are Captain Dan Kipnis, Suzan Baker, Jack Holeman, Steve Roadruck, and Cromwell A. Anderson. I am also in debt to Gail Morchower of the IGFA, Lefty Kreh, and sporting book dealer Dave Foley. Above all, I would like to express a sincere “thank you’ to Homer Rhode Jr’s son, Homer J. Rhode Jr. III. Excerpted from Along the Water’s Edge by Ed Mitchell, with permission. Copyright 2014 © Ed Mitchell; all rights reserved.